The reaction products after preheating the reactants are sent to a condenser. The uncondensed gases are passed through a series of scrubbers to recover uncondensed alcohol & acetone. The remaining gases coming out of the scrubber battery i.e. C02 and H2 are used as fuel in the furnace to supply the endothermic heat of reaction. The condensate and the scrubbing liquid from the scrubbers constitute crude acetone containing about 5 to 8% acetone. The crude acetone is stripped off it’s water content to maximum extent in stripper. 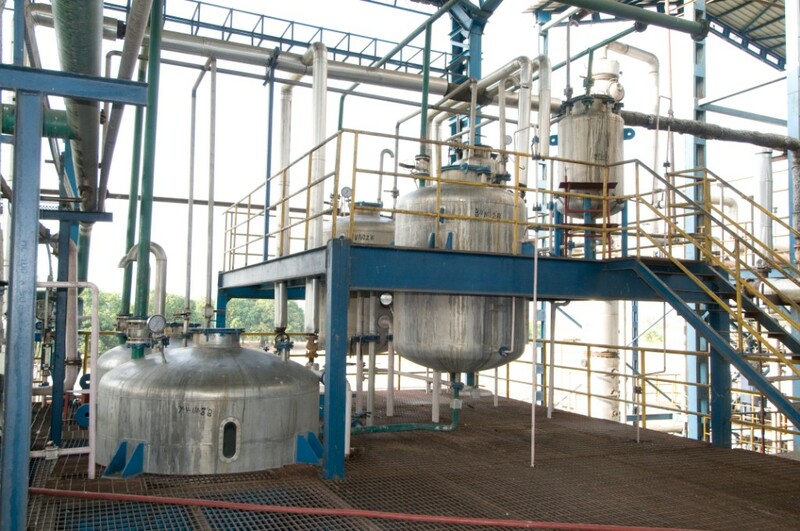 The concentrated crude acetone (40 to 50% acetone) is subjected to a series of fractional distillation in steps to obtain pure acetone. The other products of fractional distillation are aldehydes and higher ketones and as well recovered alcohol. Recovered alcohol is recycled.